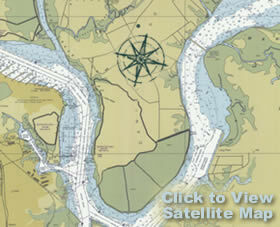 Located on the Beresford Creek Marsh & the 16th hole of Daniel Island Park’s Beresford Creek course. Approximately 6,200 square feet HVAC (over 8,100 sq. ft. total for all living areas). Extensive outdoor living areas with privacy and protected vistas. Third floor viewing balcony for eagle’s eye views. 5 spacious bedrooms, 5 and two 1/2 baths. Dual masters, one on each of the first two floors. Custom-milled mahogany front door, antique heart pine floors, central stairwell with mahogany railing and view to the top. Stone floors in second-story baths (heated in master). Crown molding, panel wainscoting. Coffered ceiling in family room. Wood-walled study. Fireclay farmhouse apron-front sink set in granite. Hammered copper sinks in kitchen island & butler’s pantry. Granite, marble, limestone & Corian countertops. Smart House Network Wiring throughout living and bedroom areas. Stereo speakers inside & out. Four-stop wood-paneled elevator with telephone. Stops include parking area, main floor, upper floor & third floor. 1,080 sq. ft. finished bonus room on top floor, finished with beadboard wainscoting. Whole house security & fire alarm systems. Brick-bordered automobile court and rear drive area. Three-car garage with carriage-style doors beneath house, plus an additional detached two-car garage. 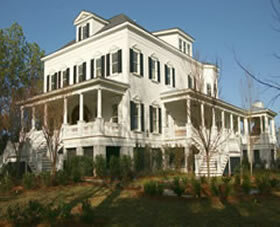 Lush Lowcountry landscaping. Fully automatic irrigation.